David Braund does not need introduction to students of Greek colonization, in particular of the Black Sea area. His new book is a valuable addition to the growing catalogue of publications on the Black Sea in Western European languages. Regrettably, such books can still easily fit on a few bookshelves, whereas works in Russian, Ukrainian, Bulgarian and Romanian would fill a medium-sized library. All the more welcome, then, is Braund's contribution, which combines robust scholarship with a profound knowledge of east European research, and endeavors 'to bridge the large gap between two scholarly traditions' (p. 9). The book's title sets forth the author's aim and approach: the aim is to envisage the female deities of the Bosporan pantheon throughout its history, and the approach is to examine the cults of the Black Sea Greek colonies in their multiple interactions with cults of other Pontic Greek communities, as well as the rituals and beliefs of diverse indigenous peoples of the area, and finally in the Mediterranean world at large. In a nutshell, 'this is a book about connections and connectivity' (p. 13). The volume consists of an introduction, six chapters, bibliography, and an index, as well as twenty-two images and two maps. The Introduction offers a condensed survey of the topography and history of the Bosporan region, dwelling on the inadequacy of the application of the traditional Greek-barbarian dichotomy to the Black Sea area, and the Bosporus in particular. Proposing that local 'forms' of the four most prominent goddesses, namely Parthenos, Artemis, Isis, and Aphrodite, 'were key to the Bosporan kingdom' (p. 13), the author embarks on the analysis of their roles on the Bosporus and beyond. Chapter One explores the cult of Parthenos in the Crimea, and her association with Artemis Tauropolos. Both the bloodthirsty goddess of the Tauri, whose frightful rites were recorded by Herodotus (4. 103), and the tutelary goddess of Chersonesus Taurica were known in the Crimea just as Parthenos and identified by some ancient authors with Artemis. Euripides' Iphigenia in Tauris was particularly influential as an introduction of the Crimean barbaric rites to the Greeks. It is also clear that on the island of Leuke, near Olbia, Artemis' victim Iphigenia was worshiped together with Achilles, known as the Lord of Scythia since the time of Alcaeus. There is no doubt that a warlike maiden was a powerful deity in the Crimea, and the patron goddess of the Greek city of Chersonesus was neither Greek nor Taurian, but both, as Braund convincingly argues (p. 37). However, while abundant evidence refers to places far away from the Bosporus, it becomes exceedingly scanty on the Bosporus (p. 52), where the cult of Parthenos is attested to only by a fragmentary ostracon and the toponym Parthenium, which cannot be associated with a specific location. The author suggests that the place name Porthmium, mentioned several times by various authors, was a later version of Parthenium, but this idea is difficult to prove. Braund's association of Parthenos with Chryse, based on a single, probably random, find of a red-figure pelike featuring Heracles and Chryse (p. 27), and the connection drawn between Achilles's bride Iphigenia and the alleged cult of Parthenos on the Bosporus are precarious. The discussion of cultural osmosis bringing about cults that combined indigenous and Greek characteristics is most stimulating, and will be essential for the study of the cult of Parthenos in the Crimea, and especially in Chersonesus, but the prominence of Parthenos on the Bosporus remains to be substantiated. Chapter Two invites the reader to leave the Pontus and explore the image of the Crimean Parthenos in Greece, Anatolia and the Mediterranean world. The author demonstrates that, although the Greek tradition on Taurian human sacrifices was doubtful, it was promulgated throughout the Mediterranean, from Italy to Syria and remained 'a dominant affirmation of the values and superiority of Hellenic culture in the face of barbarism' (p. 92). The Greeks of the Crimea perceived Parthenos as a warlike protectress, but the people of the Mediterranean perpetuated the myth of her barbarian cruelty, to be mitigated by the Hellenic Kulturträger. Thus, various storied atrocities of the Greek mythological past were attributed to the Taurian or Scythian influence. Ironically, the Pontic Greeks, as Braund demonstrates, were also eager to share in the ideology of their mainland counterparts, and they used these ideas to vindicate their role as civilizers of the Axine (Inhospitable) Sea, turning it into the Euxine (Hospitable). The representation of Taurian barbarism was therefore instrumental in creating the self-image of the Greeks, both in the Crimea and in the Mediterranean at large. Chapter Three examines the connection of Artemis Ephesia to the Bosporan Kingdom, where her cult is attested to by three fourth- century BC inscriptions and a dedication on a sixth-century bronze handle of an Etruscan strainer. Much weight is attached to this fragment: it is suggested that its form represented the Ephesian goddess, and its provenance leads to the discussion of the evidence on the cult of Artemis Ephesia in the western Mediterranean. A few graffiti and terracotta statuettes from western Crimea and Olbia, together with the rather limited Mediterranean record, prompt a hypothesis of the Ephesian participation in the colonial process. This is possible in principle, but the author himself recognizes that the testimonies are too patchy to insist on this idea, and therefore he suggests that what mattered to the Ephesians was not their own settlement overseas, but rather the propagation of their goddess' cult. As to the attested cultic connections, they are scanty, and an important observation of the author, that Artemis Ephesia disappears from the Bosporan record after the fourth century BC, underscores the elusiveness of this goddess in the Bosporan pantheon. Before Braund discusses the cult of Isis on the Bosporus in Chapter Four, he first provides a detailed discussion of the Greek identification of Isis with Demeter, and association of Isis with Io, whose wanderings (in Prometheus Bound 707-735) brought her to the Cimmerian Bosporus. A passage in Stephanus of Byzantium, attributes bull-yoking to Osiris and locates this divine deed in Taurica, and a third-century BC dedication to three Egyptian gods was discovered in Chersonesus, so the author argues for this evidence as attesting to an early tradition of Egyptian cults in the Crimea. To link Isis to the Bosporus through her relation to Io, Braund brings together the reference by the Bosporan king Cotys I to his forefathers as the Inachids, and the idea that Heracles, who was considered under the Principate as a mythological forefather of the Bosporan royals, was a kinsman of Osiris and Isis. In addition, a Bosporan delegation visited Egypt in the third century BC, and Egyptian gods appear on several first century BC Bosporan coin types. However, as Braund admits, neither Isis nor Io is mentioned in lapidary texts from the Bosporus. In fact, Isis's name is only incised on a trireme depicted on a fragmentary fresco found at Nymphaeum, which was covered with graffiti and decorated a public building of unclear nature, located above the sea. Braund suggests that the trireme 'Isis' might indicate that an Isiac festival of Ploiaphesia was celebrated on the Bosporus, similar to Byzantium. An intricate fabric of the Bosporan connections to the Mediterranean world, presented in this chapter, is captivating, although some ideas are bound to remain highly hypothetical, until further evidence is discovered. In Chapter Five the reader finally arrives at a cult that is amply attested by literary, epigraphic, and iconographic sources, that of Aphrodite Ourania, the Mistress of Apatouron, who was worshipped from the fifth century BC until the decline of the Bosporan Kingdom in the late third century AD. Having introduced Aphrodite Ourania of the Aegean, and the role of Aphrodite in the development of Greek settlements overseas, Braund dwells on various epikleseis and functions of Aphrodite on the Bosporus, which may have been inter-related. Most conspicuously, Aphrodite Ourania was almost absent from the Bosporan metropoleis of Miletus and Teos. The author concludes that the goddess' power at Apatouron, the place of her eponymous sanctuary, was pre-Greek. He discusses the prominent role of Aphrodite Ourania the Mistress of Apatouron in the Bosporan realm, especially during the Roman times, when she was the patron deity of the royal family. Braund also rightly insists on the role of Aphrodite Ourania as a deity of mixed origin, whose cult reflected and propagated multiculturalism on the Bosporus, combining Panhellenic and local traditions. Chapter Six, the Epilogue, draws a more general picture by summarizing the characteristics of the goddesses and suggesting that they pulled the two sides of the Bosporus into a single cultural and political entity. The finale of the epilogue examines the famous Bol'shaya Bliznitsa tumulus, richly decorated and containing several burials, including of the so-called 'priestess.' This tumulus reveals a syncretic religious phenomenon, in which features of local goddesses are interwoven with allusions to Aphrodite and Demeter. Braund presents this fascinating monument as 'yet another illustration of the ways in which the Bosporans shared in broader Greek – and especially Ionian – culture' (p. 275) He also emphasizes the lack of opposition between the goddesses worshiped on the Bosporus, and maintains that similar to Greece, 'Artemis and Aphrodite may also have a great deal in common too, for both are aspects of Nature and indeed human nature' (p. 277, cf. p. 13). 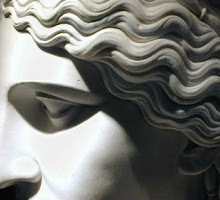 Are we approaching the idea of a great goddess (without capital G's)? The colonial environment, a 'middle ground' (to use Irad Malkin's concept 2) where different cultural strands interacted and blended, could be a perfect milieu for such amalgamation.